NEW Luster Mica Powders from Intoxicating Arts! We now have 19 different Luster Mica Powder colors available for sale on our website! Luster Mica Powders are a great way to add some shimmer to your next project! Each 1/2 ounce jar includes 6 grams by weight of powder. The powder has a built in binder. 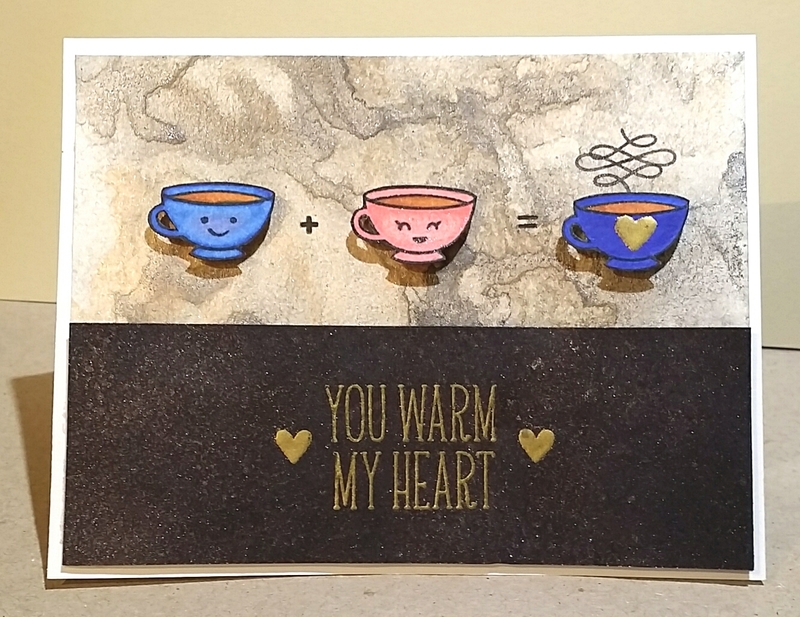 That means you can mix it with just regular water and it will stick to paper, chipboard, cardboard, wood, canvas, and other porous surfaces! 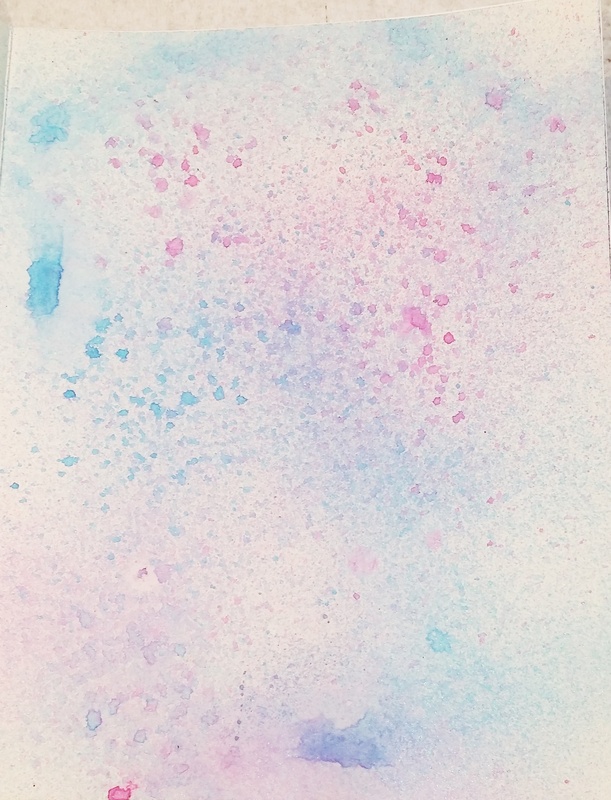 • Mix with other fluid or semi-fluid mediums such as acrylic paints, gloss gel, glue, etc. You can use it to tint or add shimmer to existing colored acrylic paints. 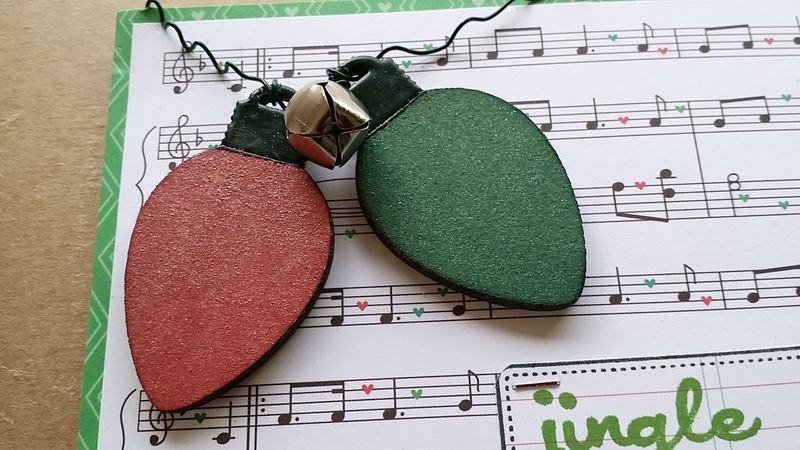 •Stamp with embossing ink and then brush the mica powder over the stamped image. Mist with a fine mist water bottle to seal in the design. • Make your own Mica Spray mists! Make sure to only mix a little at a time, since a little goes a long way. Use warm water to help the binder and powder mix well. Let sit for about 10 minutes and then shake up. You will want to use a fine mist spray bottle for the best effects. It also helps to swirl a little between sprays since the mica will settle to the bottom. You can make multiple spray mists from one jar. I would recommend not putting any more than one grams of powder per one ounce of water. To purchase Luster Mica Powders for only $3.89 per jar, just click here! Here’s a video covering all of the colors we have to offer. We have even more colors to be released and I will be making technique videos in the coming months! Buy Luster Mica Spray Mists now! $24.95 for 6 pack of 2 ounce bottles. 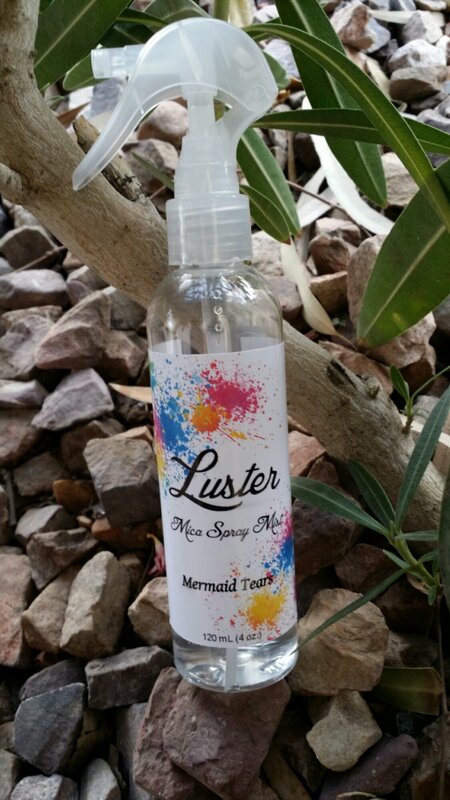 I finally got the Luster Mica Spray Mists posted for sale on our website. Click the picture about for more in depth information or to purchase. I have only posted them as a 6 pack set so far. This gives you a discounted rate of $4.15 each! Hi everyone! I just made this card last night for my Mom’s Birthday. Like most times, I sat down only with an idea of which products I wanted to use and a slight idea of what I wanted to do. 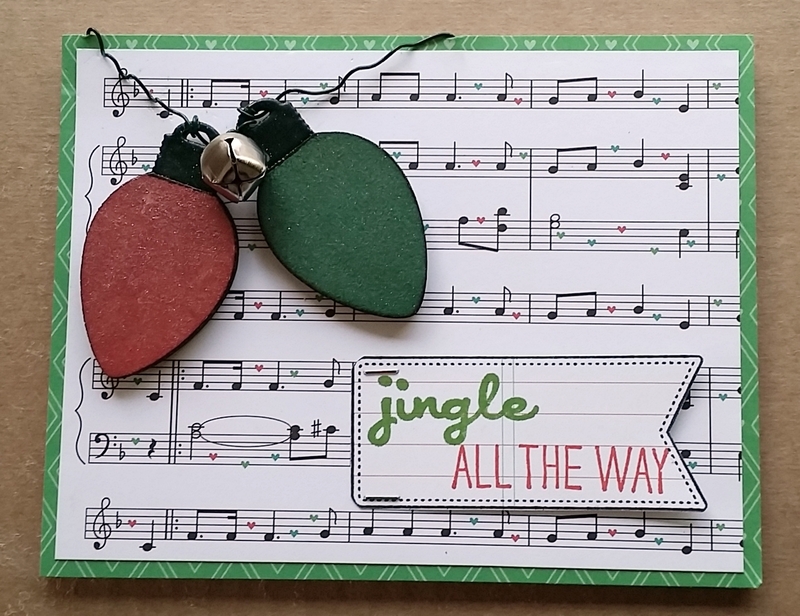 I had no idea the card would come out looking like this, but I am pretty happy with it! 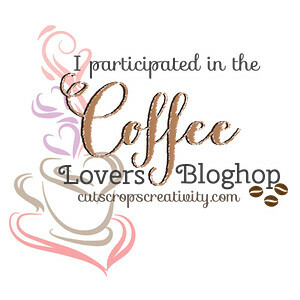 I started by spraying the background with Hawaiian Shores Luster Spray Mist to give it a nice creamy color. 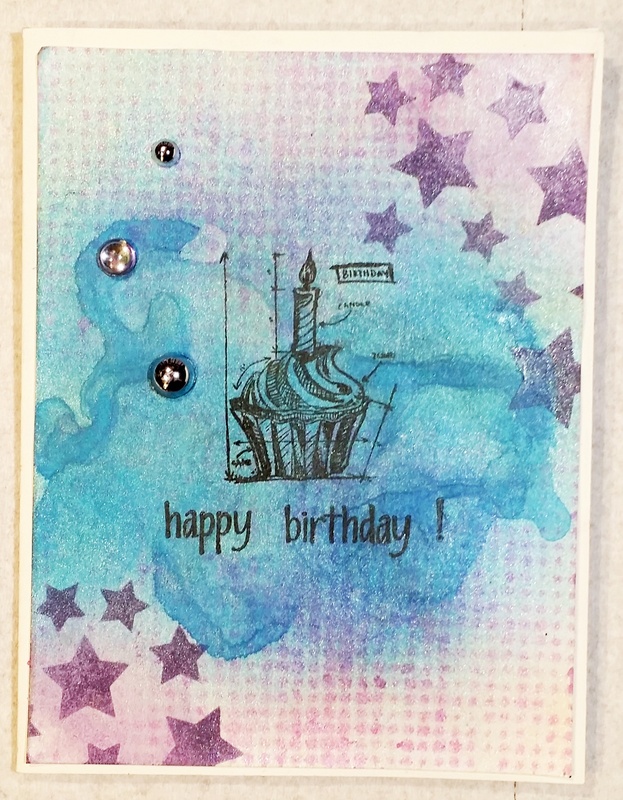 Then I used my Tim Holtz Dot Fade Layering Stencil with Hawaiian Orchid. Then I centrally sprayed Deep Sea Dive and used my heat tool to move it around a little bit . After that dried, I sprayed Shallow Waters using the same technique. 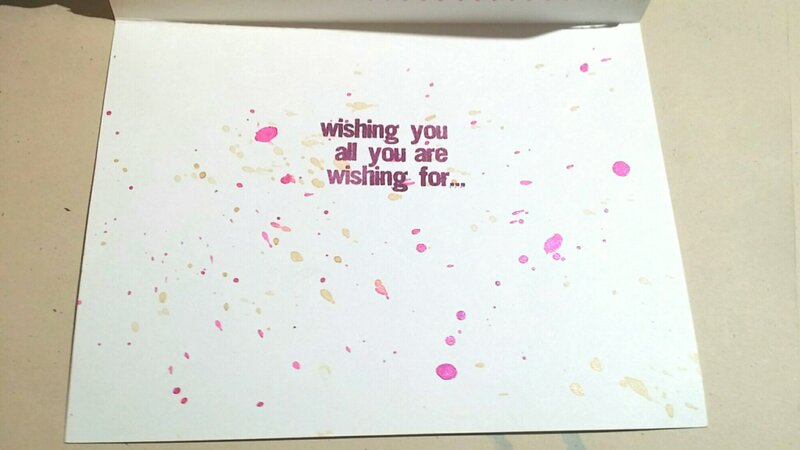 Next, I grabbed my Stars Stencil ($1.99 in Mylar, $0.75 in Oil Board) and added Dusty Concord Distress Ink using a blending sponge. 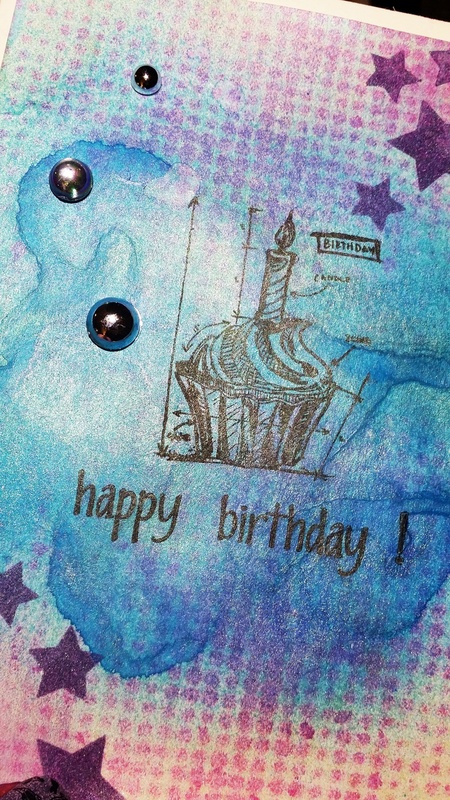 The cupcake stamp is from Tim Holtz Mini Blueprints and I’ve been dying to use it! I decided to keep that simple since there’s so much going on in the background and a ton of shimmer! 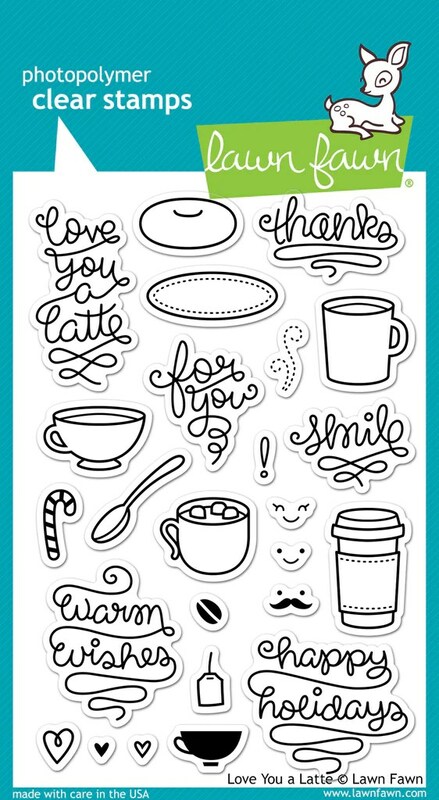 The “happy birthday!” stamp is from one of The Paper Studio’s phrases sets that I got from Hobby Lobby. I like that they’re photopolymer and individual words. I did mess up the spacing just a little bit though. Lastly, I added a few gemstones. These were in a $1.00 pack from Joann’s. 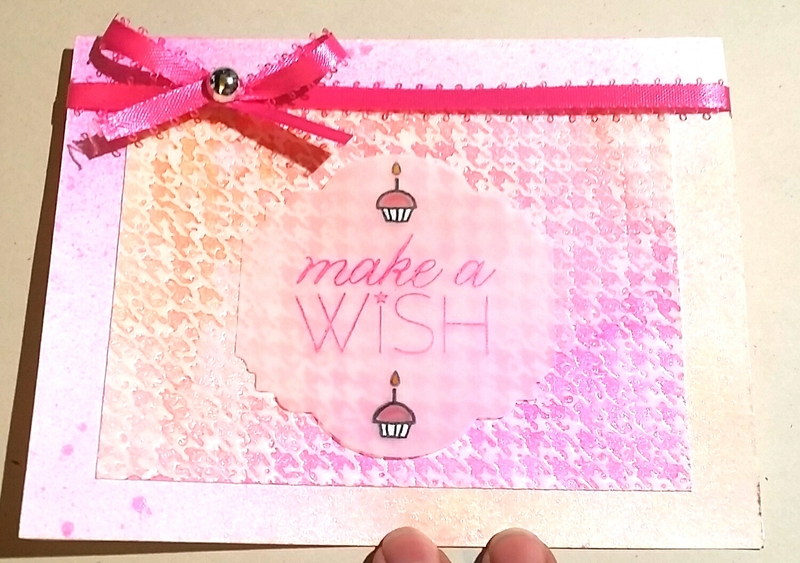 I kept the inside of the card super simple and just sprayed a few spritzes of Hawaiian Orchid, Deep Sea Dive, and Shallow Waters. I still need to write a message on the inside.